Here at The Ancient City, we aim to realize the sustainable tourism ideology. Through a carefully designed development plan and resource allocation, we hope to become the best attraction for people of all races and age groups for generations to come. The Ancient City at Samut Prakan allow you learn through traveling, here we also have a strong sense of social responsibility, we try out best to incoporate the local community into our works. Inside the Ancient City itself, we had created a natural scenic oasis in the middle of heavily industrialized area. 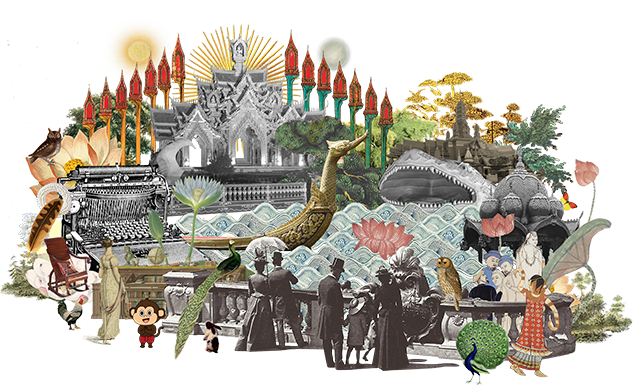 The best representation of how Thais people lived once before was preserved in the park enviroment and its architectures. Our doors open to the heritage of Thai wisdom. With a wide range of architectural symbols combined with fine arts and craftsmanship, structural layout and natural environment that integrate harmoniously, The Ancient City creates kind of atmosphere that induces visitors to perceive and appreciate the continuity of history, cultures, religions, arts and customs of Thai people from then until now. 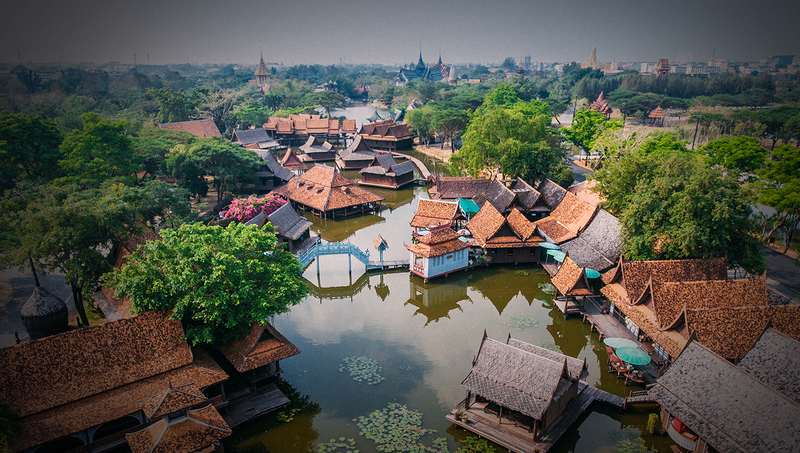 Just a visit to the Ancient City is comparable to a Thailand-round journey within a day. The layout preserves the pattern of traditional Thai lifestyles, which is hard to behold in the modern Thailand. In close proximity to Suvarnabhumi Airport (40 mins drive). 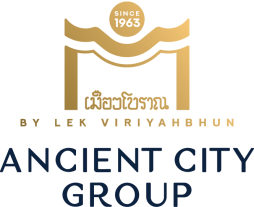 We are also located in the neighbourhood of Bangkok City within an-hour travel distance, the Ancient City is accessible by many convenient routes. 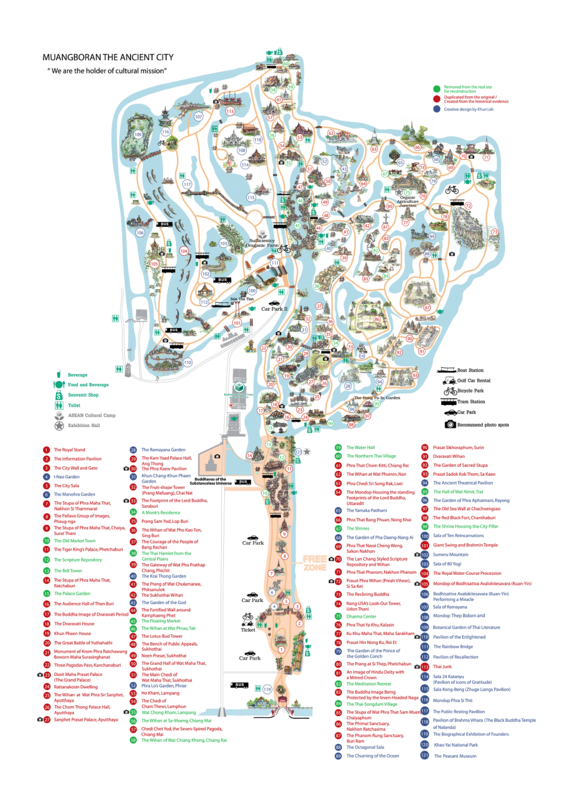 Accommodations and activity sites are also available on site. 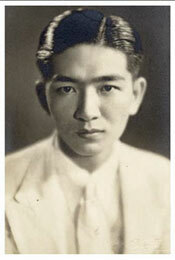 Mr. Lek Viriyaphand was born in 1914 into a Chinese businessman's family in Sampeng, Thailand. He was then sent to university Shanghai, China. It was during this period that he get to travelled and become interested in arts and cultures. He accumulated professional knowledge and understanding of arts, religions, philosophies and cultures since an early period of his life. 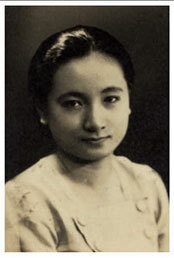 Until when his father fell ill, he then came back to Thailand to help with the family busines. Later, through work relationships he met his wife and lifelong friend Ms.Prapai Viriyaphat, who became a partner and inspiration throughout his business career. His interests in the arts started from reading and collecting antiques when he was still a businessman, the more he understood how precious these antique pieces were, the more he feel a strong sense to preserve them. This inspired his to built the Ancient City, with the hope to bring all the great works in Thailand to showcase for people in the area to see and learn about. 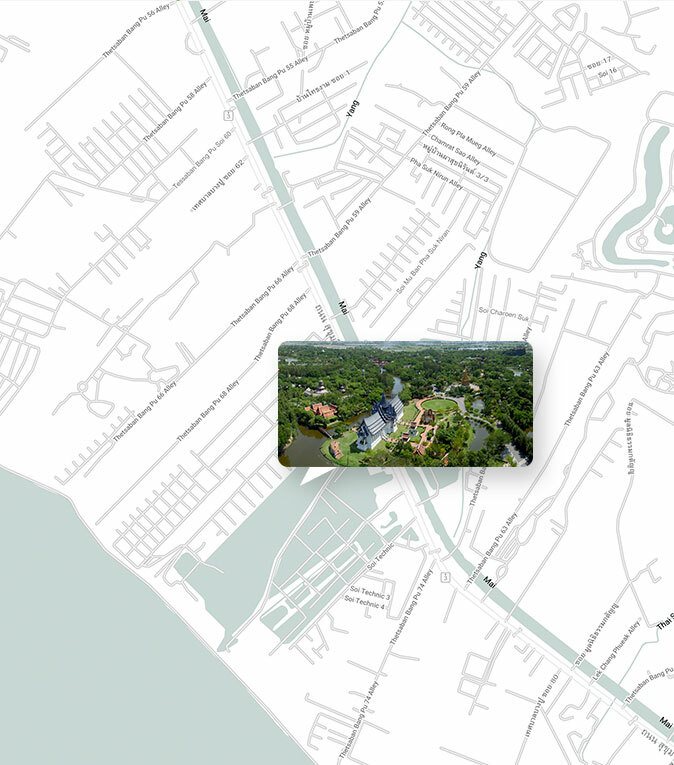 The map of The Ancient City is a replicate of the map of Thailand. Here, the 300 acres land is divided into 4 sections in the same way Thailand is divided. 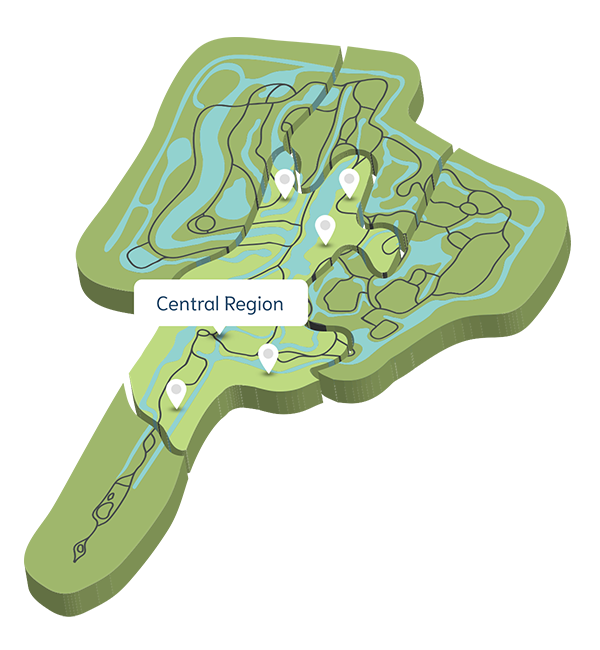 There are the Northern Region, Northeastern Region, Central Region, and Southern Region. 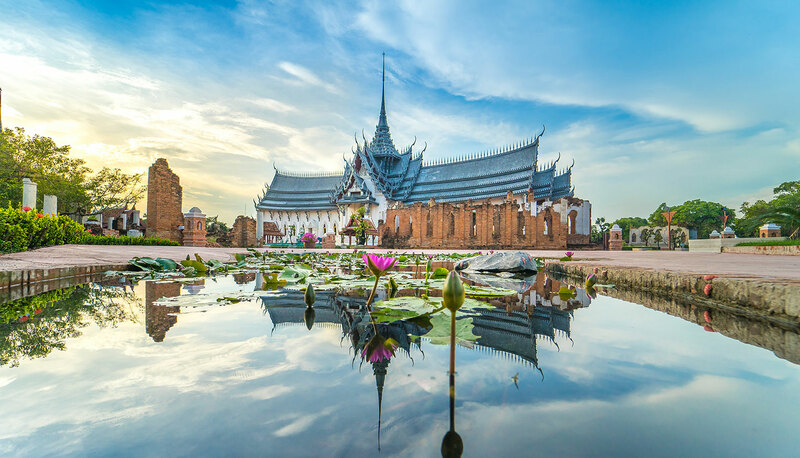 Traveling in The Ancient City will make you feel like you get a chance to visit every regions in Thailand, while completing your discovery of the architectures, arts, and cultures that is native to each region all here at The Ancient City. 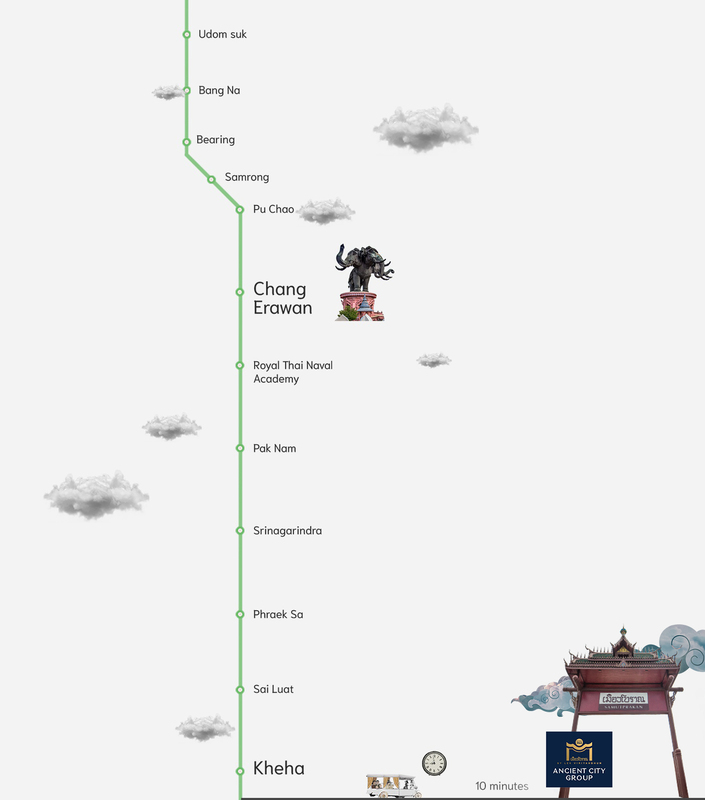 Itinerary by BTS Sky train.